Awhile back Charlotte got sick. Of course I wasn’t sure what was wrong with her. 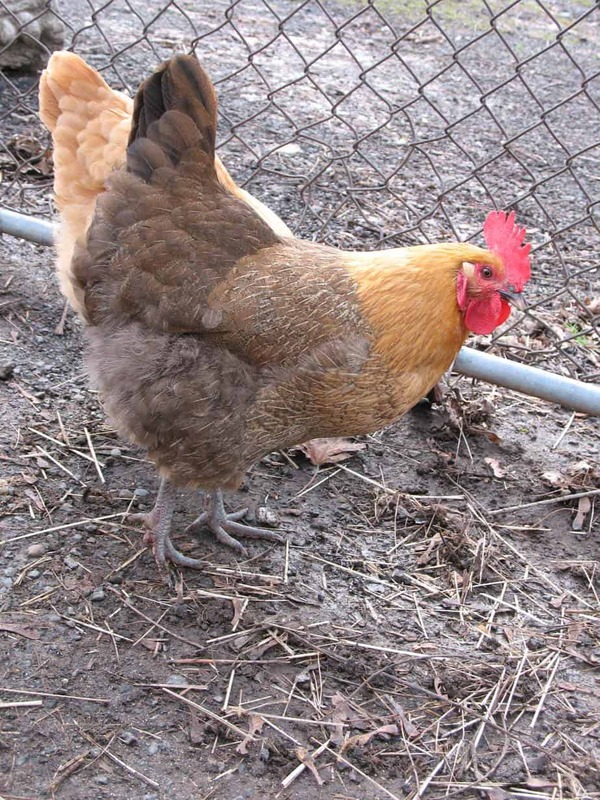 With the wide variety of mystery ailments chickens are prone to have, many with the same symptoms, I feel like diagnosing and treating my birds is a crap shoot. Not only that, the information on the Internet, in books and from other chicken people vary widely. BIG TIME. And, truly, even though our metro area has an avian vet, it’s not practical to haul my hens over for a visit when things start going south. So, I learn on the fly. I study, read, contemplate past experience, and take a stab at my best guess. I put a great deal of effort into the care and well being of my girls. And, I’m happy to report, I haven’t lost one for a fair stretch of time. But, it’s all pretty iffy, and I win some and lose some. And I’m never quite sure how it’s all gonna turn out. So when Charlotte turned up sick, I did the usual things for her. Isolation in the garage. Electrolytes and vinegar in her water. Warm oatmeal to coax her into eating. It wasn’t doing the trick for her. As a matter of fact, she was going downhill rapidly and I was sure I’d lose her. So, with seemingly nothing to lose, I decided to try something totally different. First, I need to remind you all that I’m not a vet and I’m not passing out free advice. But, I am going to tell you what happened with Charlotte. And I will repeat this treatment in the future when it seems fitting and I’ll let you know how it comes out. In the past year I’ve fallen in love with essential oils. Pure, therapeutic grade oils, ones that can be safely ingested and used on both people and animals. I’ve read about the wonderful benefits to chickens using herbs, and I have used both fresh lavender and lavender essential oils to calm my birds in the past (essential oils are 50-70% stronger than herbs themselves). As Charlotte rapidly deteriorated, and her comb tips started turning purple (a sign she wasn’t getting enough oxygen), I did an Internet search on a whim. (I know enough to know something that is fine for humans may be toxic for animals.) To the best of my knowledge, what I was about to try was going to be safe for Charlotte, but like I said, she was at the point where I didn’t think I could save her, so this was my last ditch attempt anyway. My idea was to diffuse an essential oil blend for respiration. It’s made up of laurel leaf, peppermint, eucalyptus radiata, ravensara, meleleuca alternifolia and lemon. This blend was created to aid with respiratory problems (asthma, congestion, etc.) with humans. And I decided to try it for Charlotte and see how it worked for chickens. I filled the diffuser with water and added 4 drops of this oil blend near Charlotte’s cage in the garage. Oh my, how wonderful and spa like the garage smelled! The next morning, Charlotte looked better. The purple comb tips were back to normal. I kept her in the garage for another day with the diffuser going, just to be on the safe side. Then, the following day, when she seemed completely normal, I let her back in the coop with the other girls. That was several months ago. And she’s still fine. It was a total stab in the dark. And I decided to take it based on the purplish tint to the tips of her comb and the thought that she wasn’t getting enough oxygen. My best research said the ingredients in this blend would probably be safe to use on Charlotte, but I still might not have taken the chance had it not been for the fact that I was pretty sure I was gonna lose her anyway. And so it is with chickens. We bump along on this dimly lit path, trying to glean from those who have gone before us and trying to learn along the way. It’s a hard school of knocks at times, but other times, it’s pretty amazing. I’m happy to have Charlotte still with me, fat and sassy as always. And I’m super excited that something as simple as a spa date in the garage with a couple drops of the respiratory blend could save my chicken.